CLAIM / Photo: A Syrian refugee living in Konya does not pay water bill. 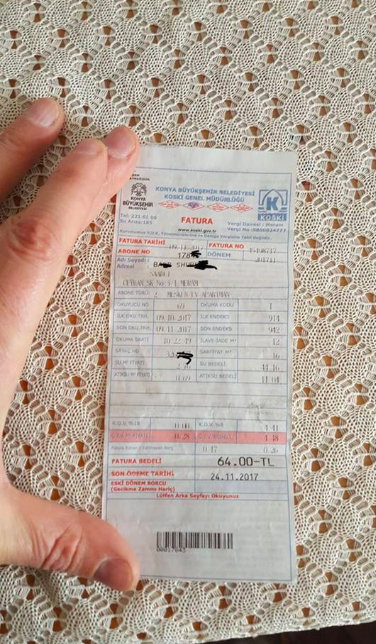 It was claimed that a water bill with total amount due of “0 Turkish lira” which was notified to teyit.org as a photo shared on social media as well belongs to a Syrian refugee. The photo posted on Facebook on October 25, 2018 with the statement “Being a Syrian is enough for not paying bill” was shared for about 23,250 times and received 341 likes up to now. The claim circulated on Twitter as well with the statement “Here is the justice of AKP. Syrians reside in flats without paying water bill. But when it comes to citizen, amount of water bill is raised by 100%. What kind of justice is this?” The same bill was shared by other users on Facebook and Twitter. 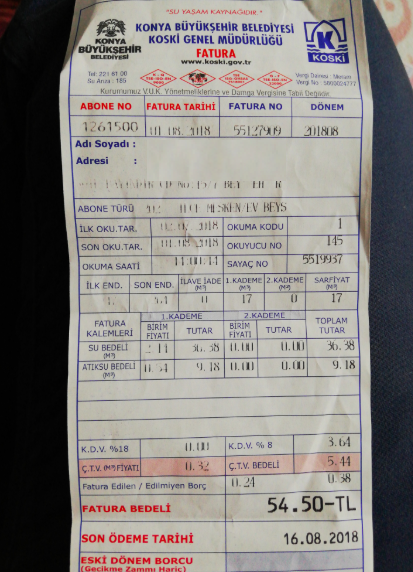 However, the claim that the bill in the photo shows free water usage of a Syrian refugee living in Konya is not true. 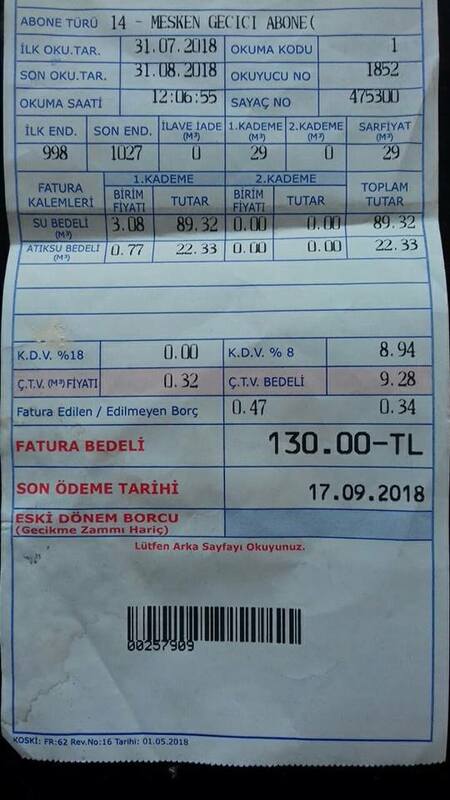 The amount of bill was priced as “0 Turkish lira”, because total amount is below the limit of 10-12 Turkish lira which is determined by Konya Metropolitan Municipality General Directorate of KOSKİ. The address, subscriber number, date, and name in the bill are true. Nevertheless, subscription of the person in the bill (Kemal El-Ali) ended on October 1, 2018. 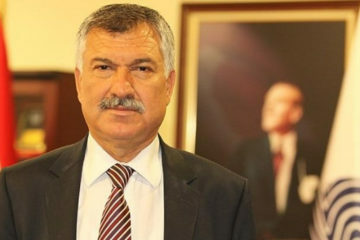 General Directorate of KOSKİ confirms that they do not have any water bill issued for Kemal El-Ali for now. Amount of the water bill issued for the new subscriber with no. 149315 is 16.50 Turkish lira as of November 12, 2018. It can be understood that the picture of the related bill was not subject to photomontage. In other words, the parts of the bill which is claimed to belong to the Syrian refugee such as “Subscriber Number, Name, Address and Total Amount” were not changed. Another water bill issued by KOSKİ. The address in the bill claimed can be found in Google Maps. A volunteer of teyit.org in Konya visited the address “Ferhuniye Mahallesi, Ulaşır Sokak, No. 1” written in the bill on October 10, 2018. It was seen that nobody opened the door although the bell was rung. teyit.org found out after the phone call made with the Call Center of KOSKİ that Kemal El-Ali is a Syrian refugee according to the registry number in the system and he ended his subscription on October 1, 2018. The call center officer shared the total amount of the bills issued in June, July and August 2018 as well. Accordingly, the bills of El-Ali dated June 25, July 24 and August 28, 2018 corresponded to 56 Turkish lira, 48 Turkish lira and 58 Turkish lira, respectively. KOSKİ officer highlighted that there is no “free usage” in subscriber classification within KOSKİ and only disabled citizens and relatives of martyrs and veteran soldiers can benefit from “discounted usage” with a discount amount of 50 percent based on the unit water quantity. Furthermore, he added that KOSKİ officers who read the water meter can never reflect the amount of bill as “0 Turkish lira”, since the amounts read in the water meter are shown automatically and the Smart Card Water Meter (EKS) cannot be changed by KOSKİ officers. 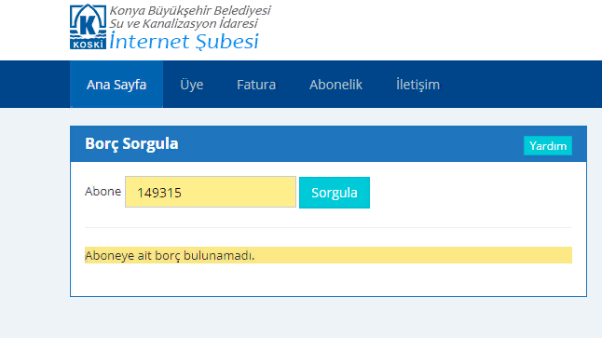 When the subscription number (149315) written in “Subscription Number” part of the bill on online bill payment service of KOSKİ on October 10, 2018, “No debt found for this subscriber” was displayed. Debt information of the new subscriber was obtained when the same step was repeated on October 29, 2018. Total amount due of the new subscriber is 16.50 Turkish lira as of November 12, 2018. KOSKİ did not give the name of the new subscriber residing at the same address to teyit.org. However, initials of the name of the new subscriber indicate that the person is not Kemal El-Ali. 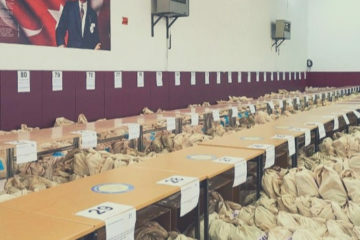 KOSKİ officers stated that Syrian refugees may subscribe to KOSKİ by bringing their identification documents like Turkish citizens or their mandatory earthquake insurance (if they own property) or their rental contract (if they are tenants). According to the information set out by the Ministry of Interior Directorate General of Migration Management International Protection Department, Syrian refugees were covered by temporary protection with Temporary Protection Regulation dated October 13, 2014, so they have the opportunity to execute subscription agreement for services, including electronic communication service, using their “Temporary Protection Identification Document.” Namely, the effective regulation allows a Syrian refugee to subscribe to water services in any province with his/her temporary protection identification document. A note at the bottom of the bill shows that the consumption amount is below 10 Turkish lira. “Dear subscriber, your consumption amount is below the limit (10 Turkish lira), so no bill was issued” is written in the note. The first and last indices in the bill are 1411 and 1412, respectively. In other words, the subscriber consumed only 1-m³ water from August 28 to September 26, 2018. Unit price of 1-m³ water (1 ton: 1.0414 m³) for residential customers residing at central districts of Konya is 4.60 Turkish lira as of November 2018. In the phone call made with KOSKİ on October 17, 2018, it was revealed that the minimum fee for the issuance of bill is between 10 and 12 Turkish lira. 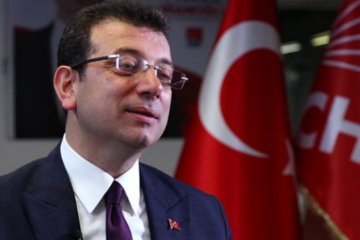 KOSKİ reported the same minimum limit for natural gas in Konya as well. That is to say, a residential customer of KOSKİ residing at central districts of Konya such as Selçuklu (location in the claim) should consume approximately more than 2 tons of water (3.1258 m³ water: 3124.8 liter) to receive an issued bill. It can be seen in another bill of KOSKİ found on internet that the total amount calculated, including taxes such as waste water fee is about 21 Turkish lira in return for the consumption of 5-m³ water (approximately 5 tones). As an example, this bill confirms accuracy of the pricing procedure. Many users on social media reacted to absence of the additional payments such as tax in related bill. Pursuant to article 12 of Regulation on Discharge of Waste Water to Sewer System issued by General Directorate of KOSKİ, taxes such as wastewater fee are calculated if the amount of bill exceeds 10-12 Turkish lira. For residential customers, 25 percent of wastewater fee is reflected on the total amount due. 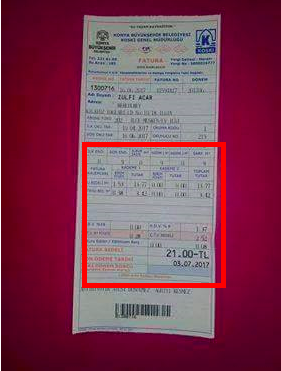 Besides, teyit.org requested a subscriber of KOSKİ residing at Selçuklu to show his water bill and identified that the bill contains the same calculation. 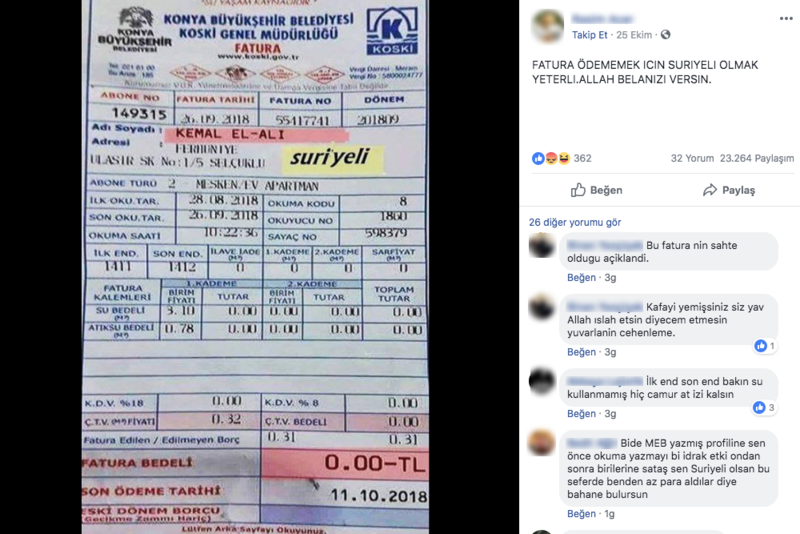 Lastly, teyit.org asked two people living in Konya who are members of a Facebook group called “The Syrians in Konya” to show their water bills. According to the following bills, fallacy of the claim that Syrian refugees do not pay water bill can be understood. The bills were issued for the Syrian refugees residing at Konya as of September 2018 and November 2017. Consequently, the claim that total amount of a bill was exclusively calculated as “0 Turkish lira” for a Syrian refugee is not true. The subscriber whose name (Kemal El-Ali) is seen in the bill ended subscription on October 1, 2018. Total amount of the last bill issued as of September 26, 2018, is 0 Turkish lira, because the amount is below the fair usage fee (10-12 Turkish lira). The subscribers whose total amount of bill is lower than this limit do not pay the water bill for the related month. Taxes such as wastewater fee are included in the amount found after the calculation of consumption fee. 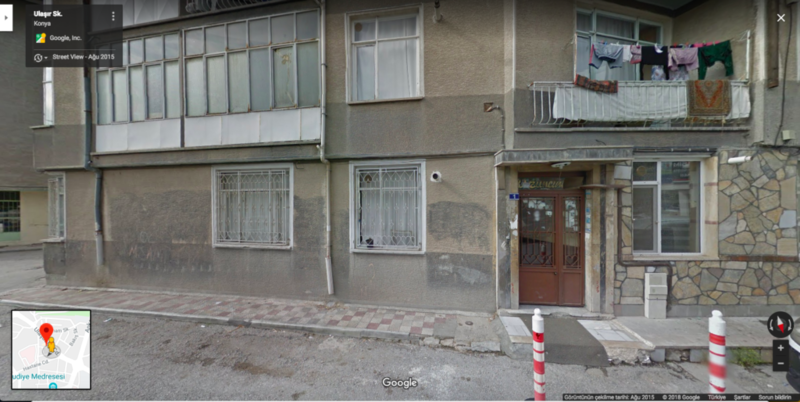 It can be seen that the new subscriber at the same address in Selçuklu pays water bills. Additionally, the bills of other Syrians sent to teyit.org demonstrate fallacy of the claim that total amount of the water bills issued to Syrian refugees is 0 Turkish lira or that Syrians are privileged, so they do not pay water bills.